Sea Pearl Seafood Company, Inc. The Ladnier family of Sea Pearl in Bayou La Batre, Alabama can trace its roots back to the 1700’s when French settlers came to the central Gulf Coast. In fact, the city of Pass Christian, Mississippi was named after family ancestor Christian Ladiner (the spellings evolved over the years), and the family has been connected to the Gulf of Mexico and its bounty ever since. Sea Pearl is a family business owned by Greg and Jan Ladnier, who work alongside their grown children Shawn and Megan and a team averaging 60 loyal employees year-round. Greg’s love for the business started in the early 1960’s at age 10, working alongside his uncle on a little bay boat named the I’m Alone. The family history took a brief turn outside of seafood when Greg’s father and grandfather, along with members of many other Alabama seafood families in the fifties, were involved in transporting supplies on tugboats and building the original bridge from mainland Alabama to Dauphin Island. The same engineering firm subsequently had a project to build a road across Salt Lake in Utah and needed their skills. Never ones to miss out on an opportunity, Greg’s father Joseph Edmond “Joe E.” Ladnier and grandfather Leo Frank Ladnier, moved their families to Utah in 1956 for three years. Greg still remembers the town they lived in “Little Valley,” constructed for the sole purpose of housing the construction crew. After returning to Alabama from Utah, the family once again established its place in the seafood business when Greg’s father, after having worked on shrimp boats for years, started Sea Pearl as an oyster business. Greg’s mother, Dawn Castelin Ladnier, was also very involved in helping run the business day-to-day. But by the 1970s, Sea Pearl had evolved into handling shrimp — unloading them from the boats and sending them to canning plants. When freezing equipment became more readily available, the business grew from there. Today, the company is known for setting the standard for quality Gulf shrimp processing. Since their inception, they have made themselves open to third party inspection of their processes. They were one of the first in the country (plant number 121) to open themselves up for the U.S. Department of Commerce voluntary inspection program. 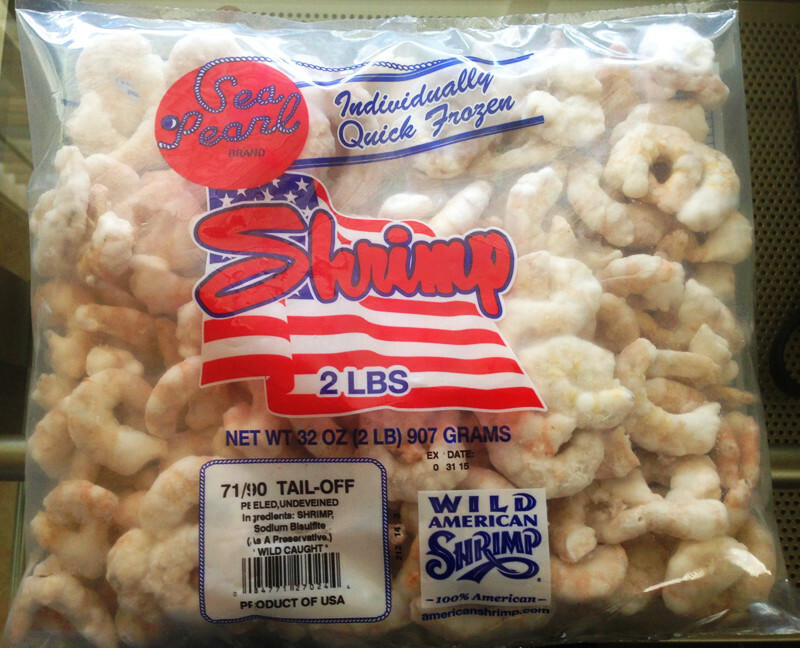 They are the only Gulf shrimp processor that is both HACCP and QMP certified in the U.S. Department of Commerce (USDC), NOAA Seafood Inspection Program. What does that mean? It means that Sea Pearl has achieved the pinnacle of quality management designations by those entities responsible for inspecting all seafood plants in the United States. They volunteer the plant for open USDC inspections on a regular basis. Sea Pearl is proud to sell only wild-caught Gulf shrimp, and in order to provide assurance to its customers about where their shrimp are harvested and processed, Sea Pearl has been a member of the Gulf Seafood Trace program for several years. For proper waste management, a sealed truck picks up the shrimp processing waste two to three times a day during processing season and hauls it to a green facility where the waste is dried and recycled. But the road to success has not been easy over the years. There was the time when imports from China caused a dramatic $2.00 per pound drop in wholesale prices in the early 80’s which Greg characterizes as a “game changer” for the industry henceforth. Then, there was biggest challenge yet in 2005, when Hurricane Katrina engulfed the family-owned business with 12 feet of water. Greg kept his word, and within seven weeks the factory was back up and running at full speed. They had to work seven days a week just to keep up with the quantity of shrimp coming in. The Ladniers even worked through the winter months, which is unheard of in the shrimp processing industry. Soon after that, Greg and Jan’s son, Shawn Ladnier, a highly-skilled BMW auto mechanic, was called upon to use his meticulous skills to help fine tune and learn all of the newly installed processes and equipment. He not only learned the equipment inside and out, but was able to teach the employees how to operate it effectively. Shawn decided to stay permanently and is now IQF plant manager. Their daughter, Megan, a Registered Nurse at a local hospital who was working a very demanding schedule, was also drawn back to the family business. She still works part-time at the hospital, but now also plays an integral role in the administrative side of Sea Pearl. Neither of the two siblings, who watched their parents work so hard over the years, thought they would end up working in the family business. But by working at the plant during summers and holidays, they gained invaluable practical and intuitive knowledge. They formed a connection that makes it hard to stay away. The Ladniers believe that in order to be successful in the shrimp industry, one has to know the business inside and out by working in all positions. Megan and Shawn have done that. None of the employees have set roles at Sea Pearl. Everyone pitches in to get the job done no matter how messy and unpredictable it might be. In fact, Greg has observed over the years something that would explain, in a world of consolidation and big companies buying up smaller companies, why so many shrimp businesses remain family businesses that have been around for years. Sea Pearl is a fine tuned machine whose management and employees successfully blend all of these variables, all of the ups and downs, into a successful business day-in and day-out. Through their motto “we like to see you impressed,” they never lose sight of the end goal – pleasing their customers with quality product.